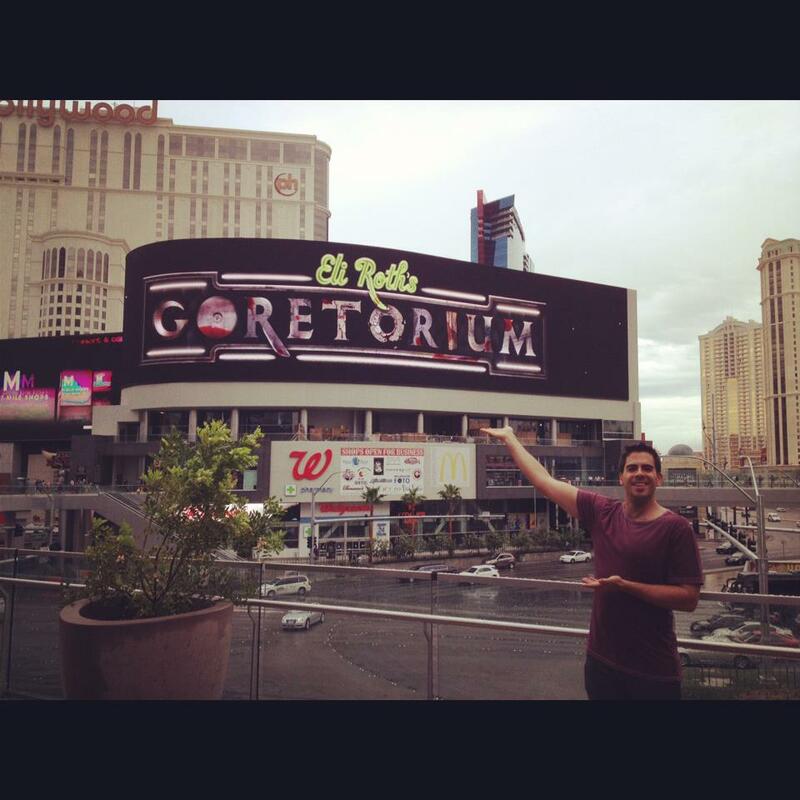 Eli Roth’s Goretorium is fast becoming one of the most anticipated haunted attractions and flying to the top of the list of just about every horror fan in the world. While Haunt Season is approaching, Goretorium is not only looking forward to their first Halloween, but to every other major Holiday as well. To get a little more information about what we can expect, and just how it all came to be, we checked in with the horror film director to talk about Goretorium. Eli Roth is no stranger to horror, at all…in fact he pretty much revitalized it with the independently financed Cabin Fever, and once again with Hostel. He’s produced several films, had cameos in several more and was in the spotlight as Donny “The Bear Jew” Donowitz in Quentin Tarantino’s Inglourious Basterds. He even created a fervor when he directed the faux trailer “Thanksgiving” which was a spin on the slasher film genre. But how does one go from making films to making one of the most intense haunted attractions in the world? Blame it all on Halloween Horror Nights. About 12 years ago, Eli went to his first Halloween Horror Nights event, and was absolutely terrified. Last year at Universal Hollywood’s Halloween Horror Nights, Eli brought Hostel to the event with “Hunting Season”, a maze he helped develop and design, based off of his film series. The maze was a huge hit, though the experience just didn’t last long enough, again, he never wanted that feeling to end. The stigma with year round haunts is that after a while, it gets to be the same thing over and over. Sure it’s scary the first couple of times, but what happens when Autumn fades into Christmas? When Spring Break rolls around, will college kids flock to see the attraction? As for the scare factor, Eli promises that they will take things as far as they can, in his true fashion. Horror fans tend to become jaded over time, desensitized by the very films they love. Goretorium promises to be something that will make even the hardest of fans scream, cry, and even…puke? With the haunt business being such a huge thing, we had to ask if there were plans to get back to the big screen, specifically a certain holiday involving turkey’s and pilgrims. To hear the full interview, watch the video below. We talk more about Thanksgiving, horror and of course Goretorium. For more information about Goretorium, including tickets, visit the official Goretorium website!